The Panorama touch sensor mirror with digital clock, shaver socket and de-mister pad from Hudson Reed, bring modern design and contemporary good looks to your bathroom. 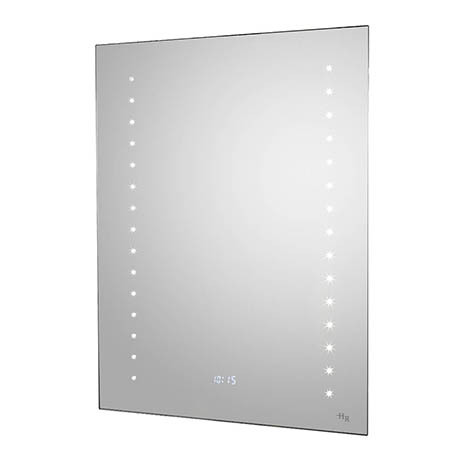 Stunning design and looks are coupled with an outstanding amount of practical features - touch sensor LED lighting, shaving socket, digital clock and de-mister pad help to make this mirror to be one of the most desired in the collection. This mirror with clock is just great, it has a shaver socket, de-mister and motion sensor for the LED lighting. The design is modern and really stands out in my bathroom. It is well worth the price and will never be replaced. Thanks Victorian Plumbing.